Your eyebrows can make a major impact on your overall look, especially if you’ve recently made a change to your hair color. Here at Von Anthony Salon, we offer eyebrow tinting to help make sure your brows and your hair color are in perfect alignment. But, what is eyebrow tinting? For starters, you definitely don’t want to try this at home! You’ll want to leave it to your professional stylist who will ensure that you achieve the perfect shade, which will end up being slightly different than your hair color. A perfect match is not the way to go with your brows! Additionally, your stylist can ensure your ultimate comfort and safety. Keep in mind that you’ll need to maintain your new brow color. Eyebrows naturally fall out at the end of their growth cycle, and the color will fade. You’ll want to come in for a touch up about once a month, or whenever you see your stylist for your root maintenance. We also offer eyelash tinting, which is an amazing way to cut down on your morning prep time and help enhance the natural beauty of your eyes. 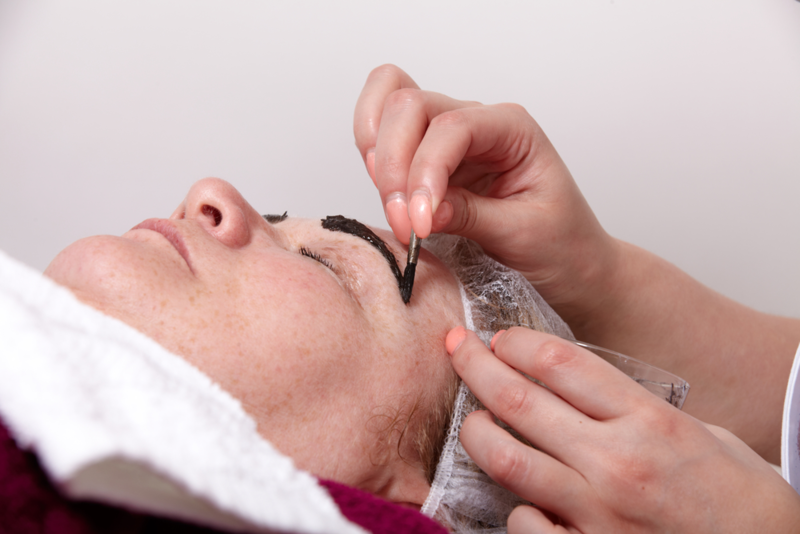 This is a relatively quick and easy treatment and can be done at the same time as your brow and/or hair appointment. Ready to make a change in your brow or lash color? The team here at Von Anthony Salon is here to help! Call us at 972.731.7600 to schedule your appointment, or take advantage of our mobile app to schedule at your convenience. Download it free from iTunes, Google Play, or Amazon.